Last week we shared more about the designer behind Emmy London shoes, and this week we're giving you an in-depth look at Freya Rose and her beautiful wedding shoes. Also based in London, Freya Rose shoes are available at only three salons in the United States - including Little White Dress Bridal Shop in Denver. Renowned internationally for her intricate detailing and innovative approach to couture shoe design, Freya Rose is one of the UK’s leading shoe couturiers. Her inherent use of bejeweled and opulent embroidered designs relates to her childhood. Born into a family of fine jewelers, she was consistently surrounded by and exposed to creative artistic references and inspiration. Growing up immersed in the art of fine jewellery making through the observation of the highest levels of craftsmanship, luxury and quality became an integral part of Freya Rose’s design philosophy. After graduating with a First Class Honors Degree from the globally renowned London College of Fashion, Freya went on to hone and perfect her design skills while working for high-end designers. The Freya Rose signature is synonymous with luxurious and bejeweled glamour, inspired particularly by the fine jewellery of the Art Deco, Orientalism and French Bohemian eras. Having spent years traveling the world in search of the finest levels of craftsmanship in ethical environments, she sources only the most unique, delicate and luxurious materials and components. Freya Rose creates inspirational embroidery and perfected lines through the application of the highest levels of specialist technique in her London studio. Lustrous fresh water pearls, Swarovski crystal and shimmering Mother of Pearl heels are all components key to the brand’s core essence. Shoe lines without leather linings give delicate transparency and allows Freya to customize her ethereal designs with a bespoke hand-embroidery service, creating one-off designs for the most discerning women seeking investment pieces with longevity. A multitude of industry awards from the most reputable publications are representative of the caliber of Freya Rose’s timeless designs and her ever-growing popularity amongst press and world-renowned stores. Freya Rose wedding shoes are available exclusively in Colorado at Little White Dress Bridal Shop. 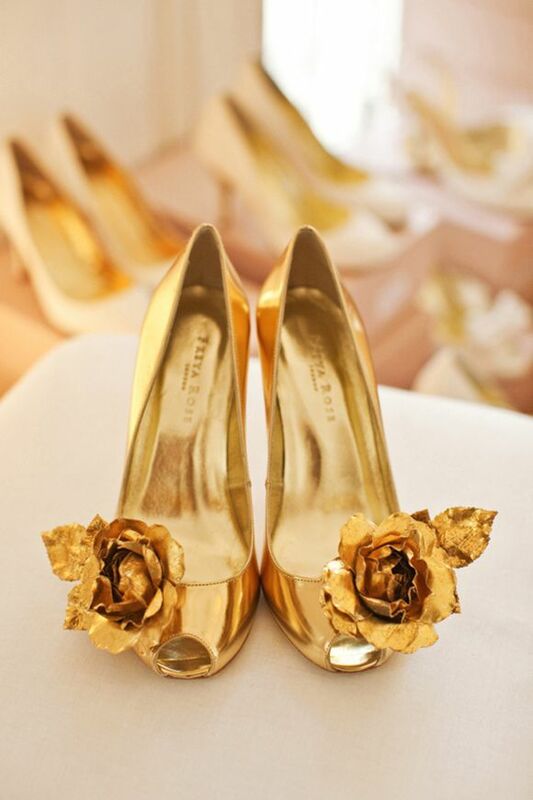 Schedule your wedding shoes appointment by calling 303-814-8972 or visiting our website!